Growth was maintained in the Australian private sector during December, even though the headline index dropped to 52.4 for the month from 53.9 in November. 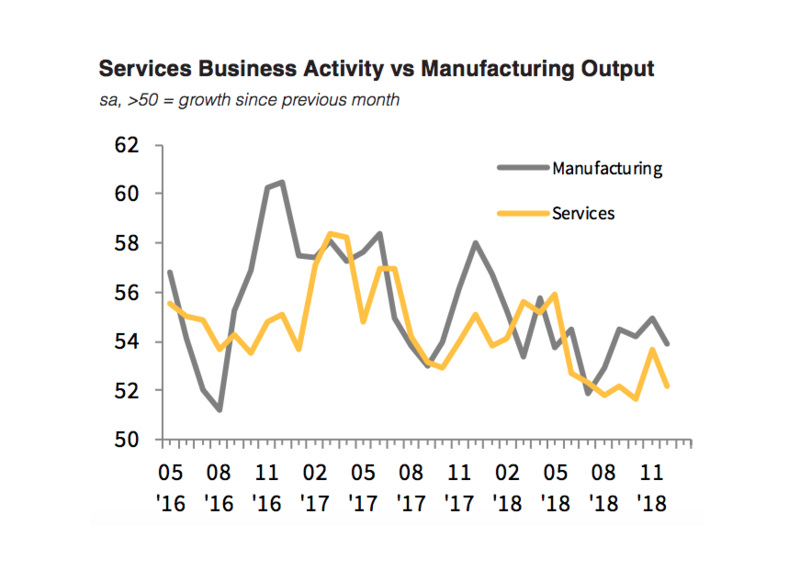 According to CBA’s Flash Composite Purchasing Managers Index, the slower increase in business activity in Australia during December was evident across both the manufacturing and service sectors, which recorded weaker rises in output for the month. “New orders increased at the slowest pace in four months, with output growth and job creation slowing accordingly,” reads the report. The report also found that business sentiment dropped to a two-and-a-half year low during December. PMI readings indicate that optimism was lower across both the manufacturing and service sectors, even though companies generally expect to see output rise on the back of higher workloads. “PMI readings for Q4 were above those for Q3. So the slowdown does not look like an ongoing slide. It also suggests that the weakness in Australian GDP growth in Q3 won’t be repeated in Q4,” Mr Blythe concluded.